Is Winter the Right Time to Install Prefinished Hardwood Floors? As you contemplate the pros and cons of pricing prefinished hardwood floors installation, you might be wondering whether to take the plunge now and get the work done. After all, winter looms on the horizon, and engineered hardwood floors installation is a major project. Should you defer it until the weather improves? Here are 3 advantages to getting the work done now. 1. Reduce potential gaps in the floor by adding boards when they’re more likely to be in a contracted state. 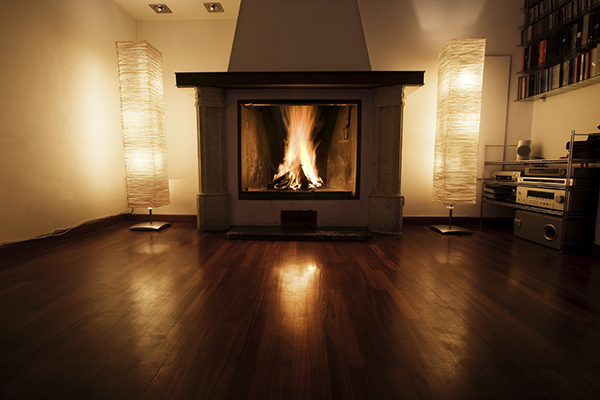 Hardwood floors are not static; wood expands and contracts based on its level of humidity. When you install the floors when it’s very dry out (in winter), you’ll be less likely to contend with annoying (and potentially damaging) contractions, which can expose gaps in the planks. 2. Reduce likelihood of dampness getting trapped under the floor. In the summer months, humidity can saturate the air, causing damp patches to get trapped beneath floors during installation. This dampness can intern spur the growth of mold and mildew, which can eat away at the floor and cause structural damage. When you do the work now, during the dry months, you minimize the chances of mildew and mold events. 3. Engage in maintenance now to prevent problems when the weather gets really bad. The last thing you want is to discover hidden water damage, structural problems or air quality problems during a blizzard or bad storm. Obviously, a water damaged floor is bad any time of the year. But people tend to spend more time inside during the winter months (when the windows are closed), exacerbating air quality threats. The team here at Elegant Floors can help you solve your prefinished hardwood floors project, whether you’re contemplating a renovation or doing damage control. Please call today at 650-961-1339 or 408-773-8624 for a free estimate.